You might be interested in watching Korean drama, but aren’t sure where to find it. Here’s our handy guide to the web’s best kdrama streaming sites! All the sites listed here are 100% legal to watch. Even though Netflix has 20-30 kdramas at any given time, most of them aren’t very big or popular titles. This makes it a poor choice for kdrama fans, because the chances of finding the drama you’re looking for on Netflix are slim. Enhancing the problem is that Netflix, like with much of its other fare, frequently changes its kdrama offerings. So even if you find a drama you like on Netflix, it might not be there anymore if you try to recommend it to a friend later in time. 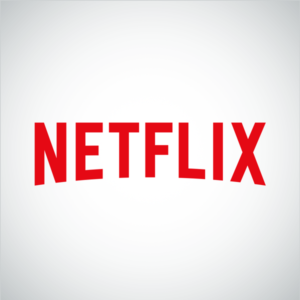 Thus Netflix might be the best choice for casual or new kdrama viewers: the smaller selection might make choosing a show less overwhelming, and the lack of commercials during episodes (unlike any of the other sites on this list) streamlines binge-watching. Of course, as intimated above, this makes watching kdramas based on recommendation difficult. Plus, the poor selection increases the chances of a new viewer randomly selecting a kdrama that’s just not very good, which might sour newbies to the genre overall. Pros: You probably already have a Netflix account; No ads; If the drama you’re looking for is on Netflix it’s the best streaming option. Cons: Probably doesn’t have the drama you’re looking for; Need a Netflix account; Small selection of mostly middling kdramas; Offerings periodically changed by Netflix. Hulu has a huge library of both old favorites and new titles, including shows currently airing, with episodes arriving within a day or two of their release in Korea. Like Netflix, Hulu’s entire catalog is now behind a membership paywall. 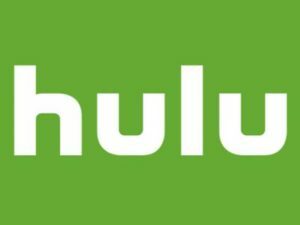 Unlike with Netflix, less people are used to needing a Hulu account, because until this summer you could still watch some things (including most kdramas) for free without a Hulu Plus account. Pros: Another familiar streaming site; Large up-to-date collection. Cons: Need a Hulu account; Still has ads even with an account (depending on the account level). 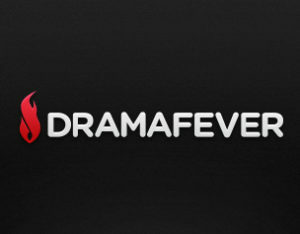 DramaFever was one of the first platforms created for offering kdramas abroad, and as such it’s the largest, and in fact now offers content from across Asia, Europe, and Latin America. It’s so big, in fact, that it often has exclusive streaming rights to some popular shows, meaning if you want to watch certain dramas you’ll have to do that on DramaFever. DramaFever is my least favorite site for kdrama, mostly because of the subs. When I used to watch on DramaFever the subs would sometimes try to translate words with no direct corollary in English, like “hyung” or “unni” as “bro” or “sis” (these titles generally relate to family, but are not exclusive to it), which led to my confusion during several dramas as to whether certain characters were actually related or not. Since then they have improved/fixed this problem, but I just got out of the habit of watching on DramaFever. DramaFever offers free streaming on all of its dramas. Premium accounts are available; depending on the price you get limited or no ads, access to a big selection of movies, mobile device streaming options, and more. Pros: Large kdrama streaming site with the most shows exclusive to it; Best/only place for watching some currently airing dramas; Free with ads. Cons: Frequent breaks with repetitive commercials (the same ad multiple times an episode) when using the free service; Need a membership for latest episodes of their exclusive shows; Need a membership for use on mobile devices. Viki is very similar to DramaFever in both the amount and type of content available, with one big difference: its dramas are subbed by fans. 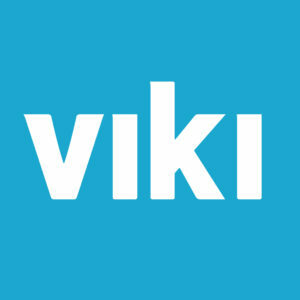 Anyone who’s ever been in fandom knows that fans are often the most dedicated and hardworking when it comes to the objects of their affection, and it shows with Viki. Based on what I’ve read by those who either speak Korean or who compare different translations of the same show (as I said, fans are dedicated), Viki’s subtitles are among the most accurate. They’re also available in a wide range of languages, making Viki one of the best sites for fans who don’t speak Korean or English. The other thing that sets Viki apart is its famous comment-streaming option. On any video users can choose to enable (subtly at the top of the screen, as subs are at the bottom) a stream of the top-rated comments that were made live when the video was first posted. It sounds really annoying and it can be at times, but other times it’s frankly hilarious, and can also be really helpful for learning cultural or language (or sometimes just fun random) details. Both Viki and DramaFever have almost the same gigantic catalog of dramas free to anyone, with a wide selection of movies available to members. Like DramaFever, Viki offers a couple exclusive dramas each cycle. Both have frequent repetitive commercial breaks if you don’t have a membership; both offer premium memberships that cut the ads and make streaming available on mobile devices. However, Viki has just one membership level that gets you everything at around the same price as DramaFever’s middle-level membership. Viki is my preferred drama site, and the reason why comes down to the first point: the fan interaction. By and large the fan subs are the best, and I just think it’s really cool that Viki is so supportive of and catering to the fans. Pros: Fan subs/best subs; Free with ads; Only one membership level gets you everything. Cons: Frequent repetitive ads; Need a membership for latest episodes of their exclusive shows and for use on mobile devices. 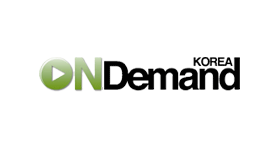 On Demand Korea is a newer website I learned about recently. Because it’s so recent it reminds me of Hulu in my early drama watching days: decent-but-not-huge selection, with few ads. There’s an average of three ad breaks per episode, with the occasional option to skip the ad after a few seconds (like on YouTube). Of course this may quickly change, just like it did for the bigger sites. On Demand Korea also includes the widest range of content from Korea; in addition to dramas, variety shows, and movies (which Viki and DramaFever also have), you can watch sports, news, documentaries, and the like, making it a more attractive option for any expats or those interested in learning more about Korean culture in general. With subtitles in English and Chinese, and a bigger, better selection of dramas than Netflix, On Demand Korea is a great option for newcomers and seasoned kdrama fans alike. Pros: Fewer less annoying ads; Can watch on mobile devices without a membership. Cons: Most expensive membership of the three big drama sites ($7/month, only DramaFever’s top membership level is more expensive); Smaller collection than the two bigger sites. If you have a favorite media device, try searching its app list – in addition to the sites listed above, you might find other options. For example, my Fire TV has two apps, KORTV and MBC On Demand, that provide some kdramas directly from the original Korean broadcasters (MBC, in fact, is one of the major Korean broadcasting stations). They have ads, but frankly I prefer the MBC On Demand format to DramaFever’s Fire TV app; it’s much easier to fast forward and rewind. So search your app stores, because you never know what you might find. What’s your favorite kdrama streaming site? Are there any that I missed? Let us know in the comments below.